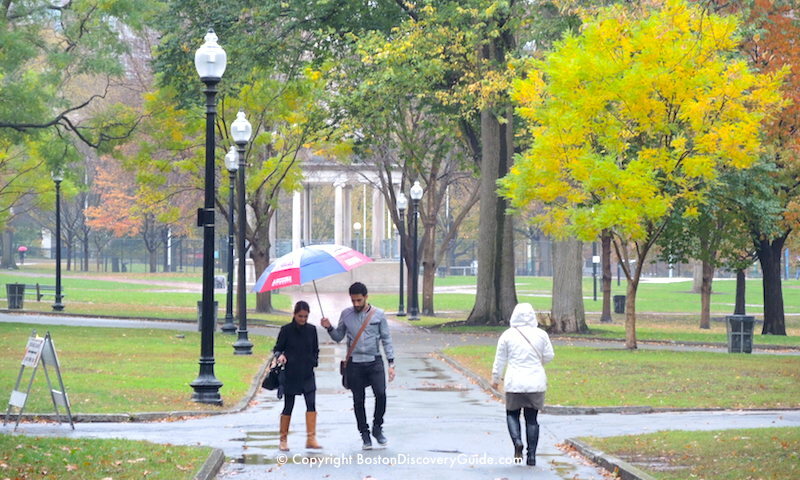 Don't let rain dampen your Boston travel plans! 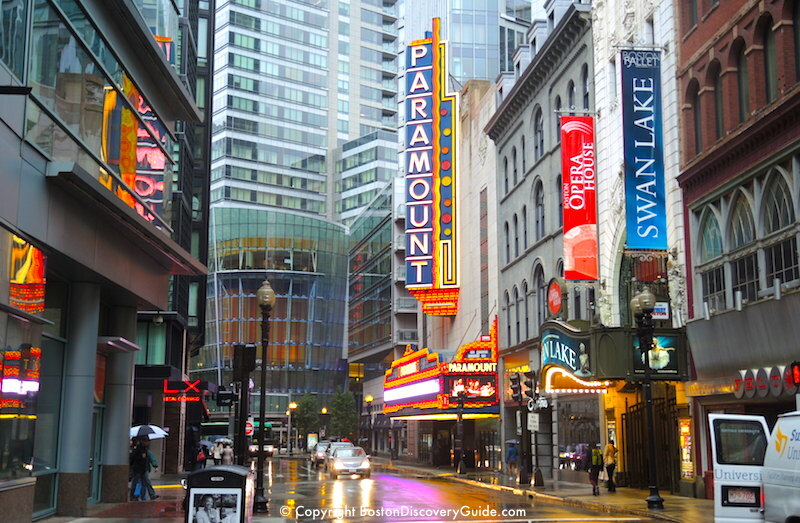 Our list of 10 top Boston activities for rainy days will give you plenty of suggestions so that drizzles or downpours won't turn your weekend in the city into a wash-out. 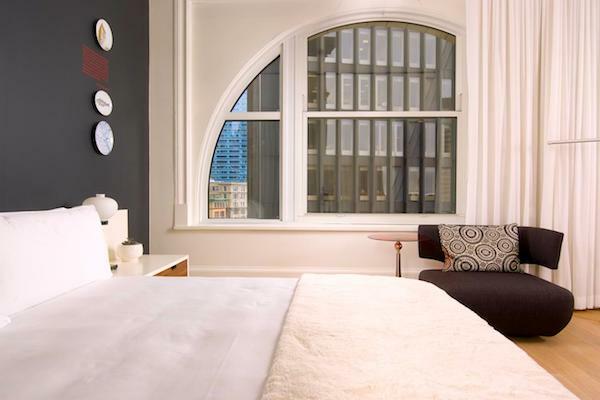 Even better, you'll get get to see some wonderful parts of the city that you might otherwise miss. 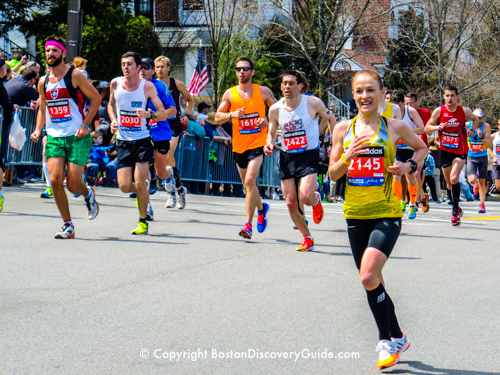 Best of all, these rainy day activities in Boston are also fun things to do on sunny days . . . and even those other "s-word" weather days that we don't like to use . . . snow, sleet, and worst of all, slush. 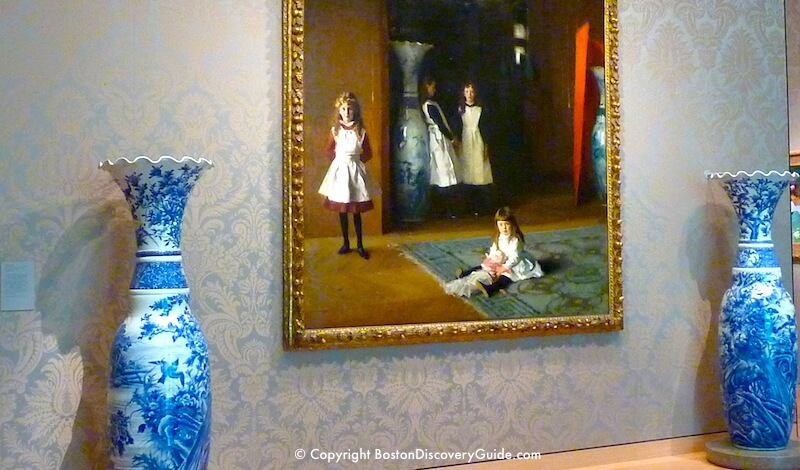 Spending a day in a museum is a time-honored way of avoiding bad weather - rainy days, steamy days, snowy days. With over 30 city museums to choose from, finding one to fit your interests shouldn't be a problem. Are you visiting with kids? 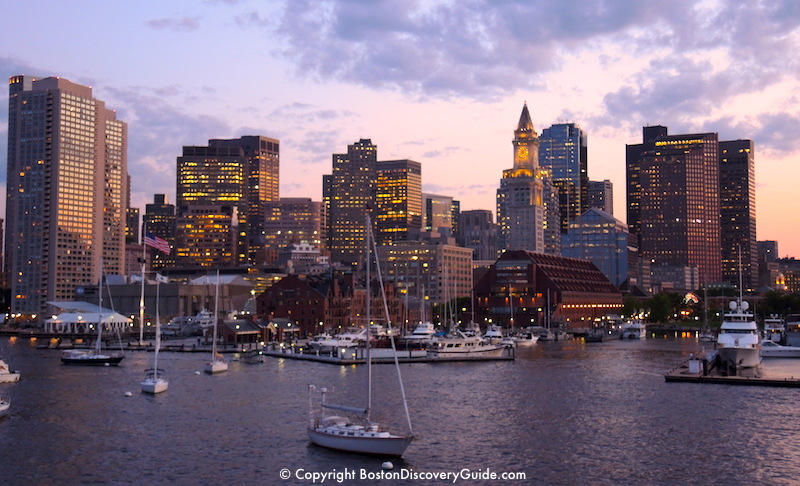 Head to the Boston Children's Museum (best for ages up to about 10 or 11), New England Aquarium, or Museum of Science. Teens and adults? In addition to the Aquarium and Museum of Science, try the Museum of Fine Arts - be sure to the spectacular Arts of the Americas Wing and check out the muumies in the Egyption rooms. And the Boston Public Library, although technically not a museum, offers free entrance (so perfect to duck into if you get caught in a shower near Copley Square) and overflows with museum-quality art in the old section and offers a fun ambiance and several cafes/coffee bars in the light-filled new section. 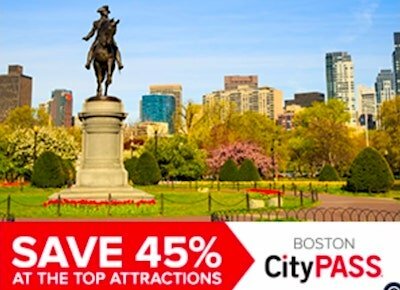 Boston CityPASS - Gives you free admission to the New England Aquarium, Museum of Science, and Museum of Fine Arts, plus other attractions. Good for 9 days. 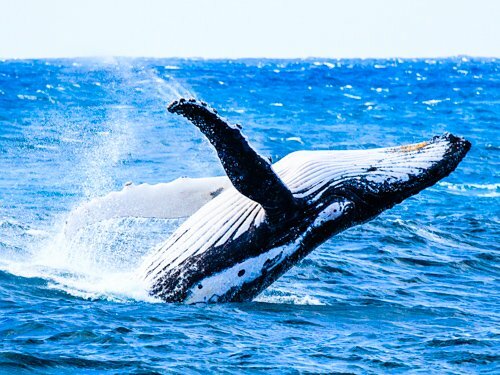 Go Boston Cards - Gives you free admission to New England Aquarium, Museum of Science, Museum of Fine Arts, and Boston Children's Museum, plus other attractions. Available for 1, 2, 3, 5, or 7 days - you choose. TD Garden, home to the Boston Celtics and Boston Bruins, and frequent site of star-studded concerts, ice shows, and occasionally even the circus, is right next to North Station (Orange and Green T lines). One of Boston's best kept secrets are our bowling alleys. Easiest to get to by T in the rain is Kings (50 Dalton St), close to Prudential Center in Back Bay (in fact, if you're staying near Pru Center, it's an easy walk, even in the rain). Great for family fun before 6pm, and then strictly 21+. Big screens, beverages for all ages, and food will add to your enjoyment. Even if you're normally addicted to Netflix when you're at home, going to a movie on a rainy day can be a lot of fun, especially if you're traveling. 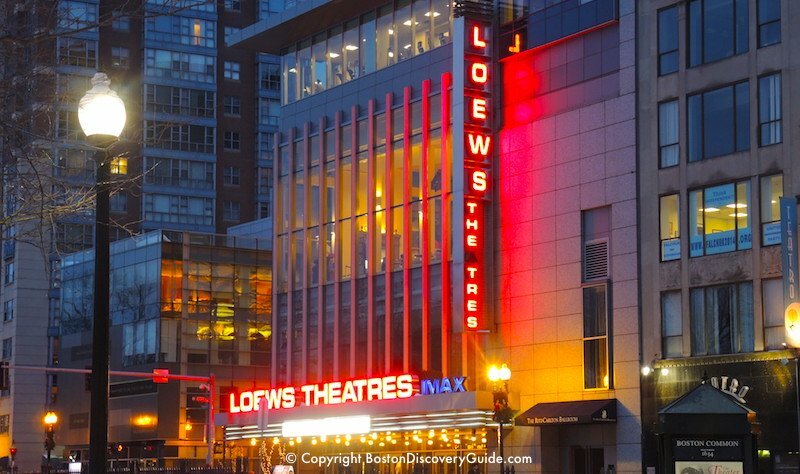 For movie theaters showing first run commercial films, check Loew's Boston Common 19 (very close to the Park St T station). Thanks to the theater's 19 screens, you're likely to find something of interest. Chinatown is only a couple of blocks away - so grab an umbrella and head over to one of these fun Asian restaurants for a meal after your movie. But for indie films, foreign films, and repertory film series that defy description, see what's playing at the Brattle Theatre near the Harvard Square T station in Cambridge, and also grab a bite to eat. Chocoholics won't want to miss Burdick's famous hot chocolate almost next door (52 Brattle Street). If the rain reaches the miserable level, here's the perfect solution: Join a Boston brew tasting tour. A bus takes you around to the breweries and brew pubs, so you'll stay dry - plus after you taste up to 15 local brews and enjoy a meal, you won't care about the weather. Going for a walk on a rainy day gives you the chance to see the city from a new perspective. 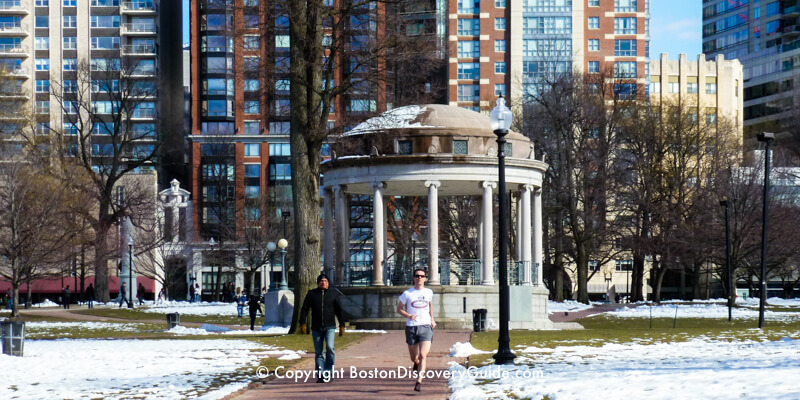 This short walking tour itinerary starts in beautiful Boston Common and takes you along one of the most interesting sections of the historic Freedom Trail - and then through the Downtown Crossing shopping area where you'll find fascinating small shops as well as a huge Macys. The route covers less than a mile so you won't actually be in the rain very long - plus you can always pop into a store, coffee bar, or restaurant along the way if the rain gets harder. On sunny days, you might want to walk along the Freedom Trail past various Revolutionary War sites. But it's raining - so head to one of the historic Boston bars where the Sons of Liberty plotted their tea party and dreamed of revolution. Or enjoy a leisurely meal in one of Boston's historic Union Oyster House, where generations of Bostonians have eaten basically the same traditional New England dishes that you'll be served. Well, the views may not be "sweeping" if the rain is heavy. 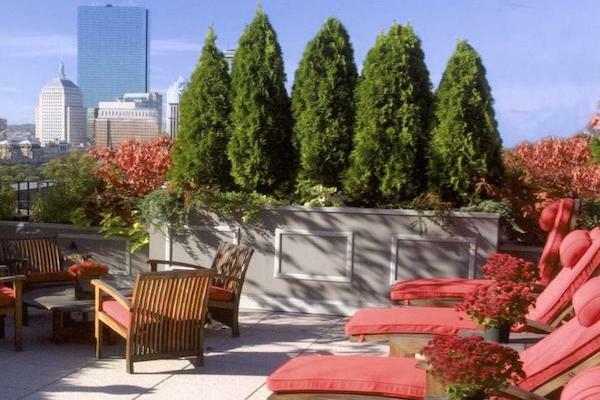 On a blue-sky day, you might want to experience the panoramic views of the city from the Prudential Skywalk. If in doubt about the view, don't pay out good money for Skywalk Observatory tickets on a dismal day! Instead, head up to the 52nd floor - 2 floors above the Skywalk - to the Top of the Hub. Sit in the bar or lounge and order one of the specialty cocktails for about the same money you might have spent on Skywalk tickets. You'll still be able to see some of the city unless the rain turned into a nor'easter. If that happens, order another drink. If you linger long enough, you can enjoy the live jazz which begins on most nights after 8pm. 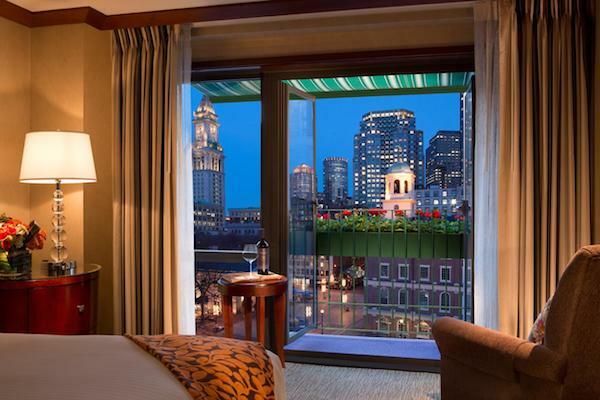 If you're coming to Boston in one of the cooler months and know ahead of time that rain is predicted during your stay, a fun option is to make reservations in a hotel offering in-room fireplaces. Bask in front of the warm fire in your room, and you won't mind the nor'easter raging outside one bit! Touring the Harbor is a favorite visitor activity. . . and while most people think of doing this only when the weather is good, you can also see quite a bit in the rain. Two of the biggest enclosed dinner cruise boats, the Spirit of Boston and the Odyssey, continue their tours year round, rain or shine. On cloudy nights, Boston's skyline looks even more dramatic. 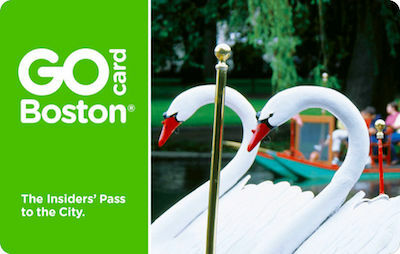 Several cruises are also usually available with the Go Boston discount card. Shopping can be lots of fun on bad weather days. If you're visiting from out of state or another country, remember: you don't have to pay sales tax in Massachusetts for clothing costing under $175. So you can save a lot of money by shopping for clothes here. 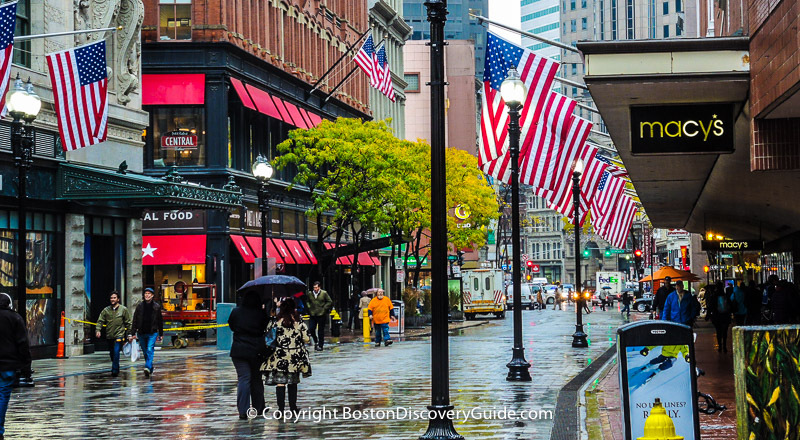 Three Boston shopping malls are easily reachable by T or on foot - Prudential Center, Copley Place, and Faneuil Hall Marketplace (aka Quincy Market). 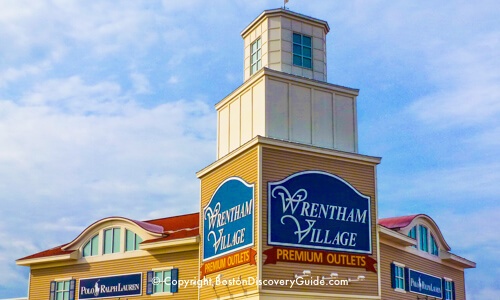 For the ultimate experience in designer discount shopping, hope on one of the carefree luxury coach trips to Wrentham Premium Outlets located about 30 miles south of Boston, where you'll find loads of deeply discounted designer brands. Your savings can easily pay for the car . 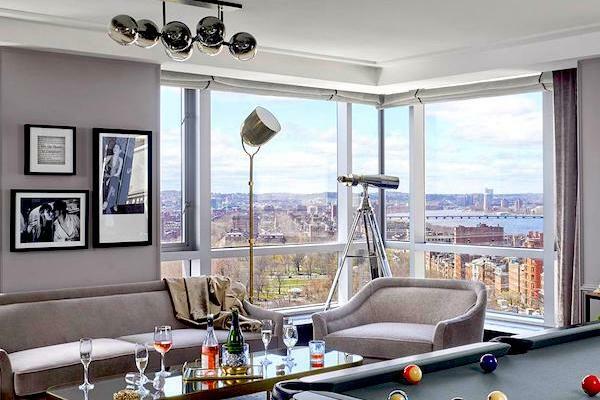 . . maybe your entire Boston vacation! Or consider Assembly Row factory stores - only 5 minutes from Downtown by T (subway). You'll find low prices every day (plus sometimes huge sales), and there are lots of fun restaurants and bars here. Kids will love Legoland, and your whole family will like the movie theater.